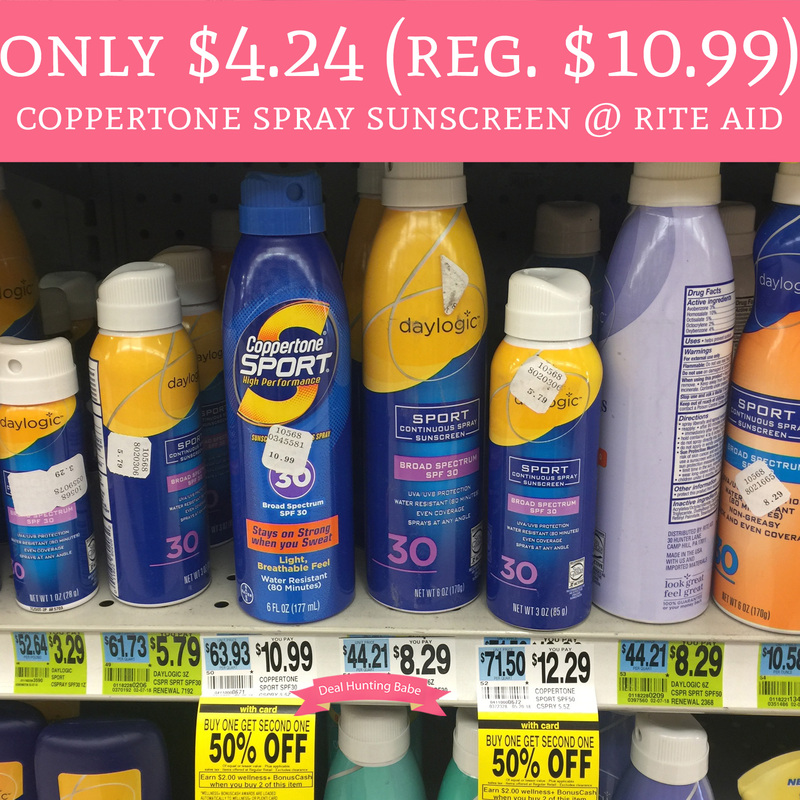 Through 5/26, you cans score Coppertone Sport Spray Sunscreen for just $4.24 (regular $10.99) at Rite Aid. They are currently priced at $10.99, but Buy One Get One 50% off and buy 2 get $2 wellness+ BonusCash. Plus, we have a high value $6/2 Coppertone coupon found in the 5/13 Smart Source insert making each bottle just $4.24! Final price $8.48 or $4.24 each! !